This banana upside-down beauty is ripe for riffing. We found the best of the bunch. It's not the ice cream. We’re looking for the best of the bunch. From upgraded banana bread to fritters, ice cream, cakes, and shakes. Think of these as 10-minute doughnuts. How the latest strain of banana disease, TR-4, may forever change bananas as we know them today. Should You Be Plastic-Wrapping Your Bananas? Is this an ap-peel-ing new secret storage method, or is it just bananas? They've got lots of appeal. The secret to perfect banana muffins: Cover them in chocolate. It's time to shake your banana bread habit. 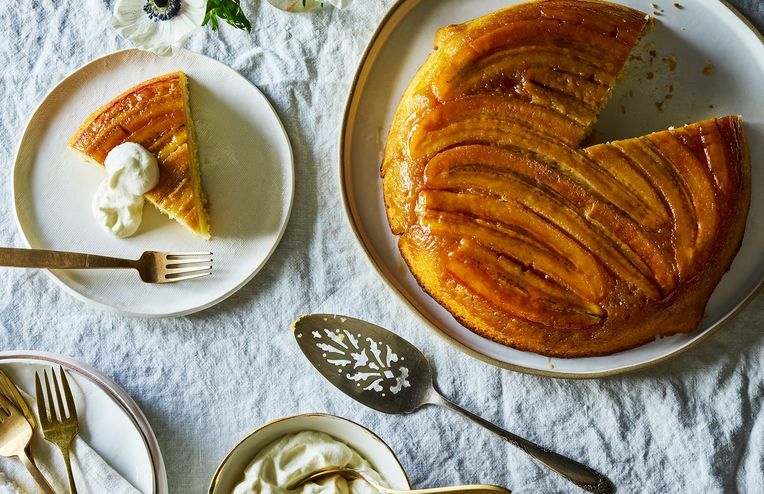 Learn to make the best three-ingredient banana dessert. Watch KatieQ make a wholesome banana date smoothie and suggest several hearty ingredients to swap to your satisfaction. Make banana bread just like Mom used to—slightly underbaked and full of add-ins from the pantry—without a recipe. KatieQ teaches us a hack for making a banana boat. For dinner tonight, make this bright, kid-friendly dinner in no time at all. The fruit (technically a berry!) so versatile, you can treat it like a fruit or a vegetable and use it at every stage of ripeness. There's a bunch to know about your favorite fruit. Do you wish tahini were even stronger and more flavorful? If the answer is yes, make this black sesame cake. It's bold in flavor, bold in color, and unlike anything you've ever tasted. Amanda feeds her kids marshmallow fluff for lunch. But actually.